Editor’s Note: Although the President-elect can choose to ask current political appointees to continue in their positions, President Barack Obama has requested that all political appointees submit letters of resignation effective no later than Jan. 20, 2017. McCormack made the announcement today at an event in Washington, D.C., sponsored by the Association for Federal Information Resources Management (AFFIRM). McCormack joined DHS in 2013. He previously served as the CIO at the Department of Justice. As a political appointee, his departure is not unexpected (MeriTalk has a list of 25 CIOs and their expected status during the transition). 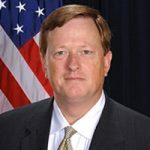 From 2005 to 2012, he served as CIO for the U.S. Immigration and Customs Enforcement; and from 1999 to 2005, he served Customs and Border Protection, moving from director of Systems Engineering, to director of Architecture and Engineering, to acting cirector of Infrastructure Services Division.